We took a grossly overloaded bus from Fira down a very steep and winding road to the new port, where we caught this fast ferry to Heraklion. Not as big as the ferry from Pireus to Mykonos, but no more romantic. 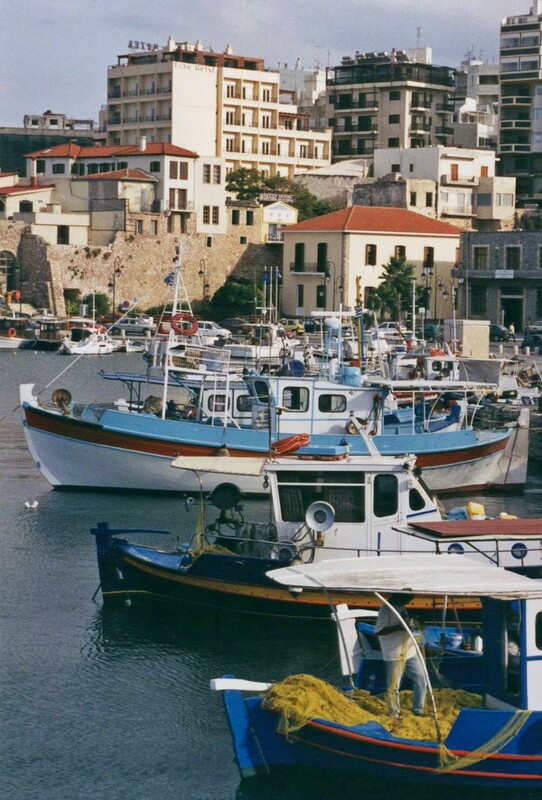 This is the harbour at Heraklion, with our hotel being the cream building at upper left. 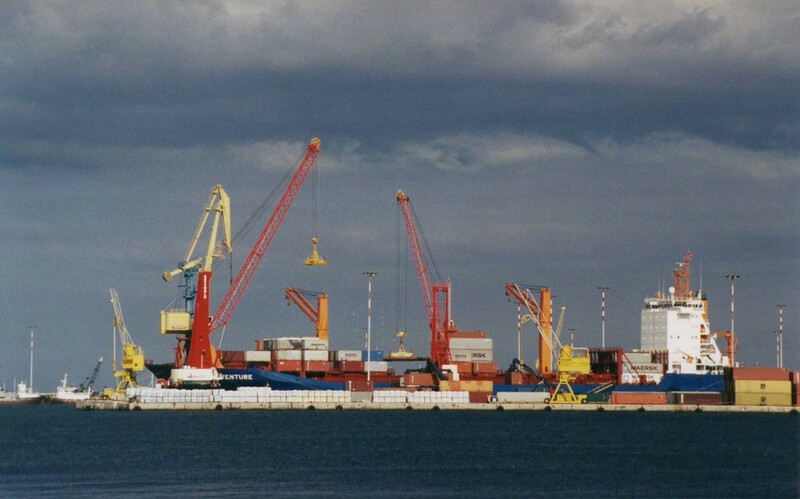 The modern harbour, with its cranes unloading containers from huge ships. 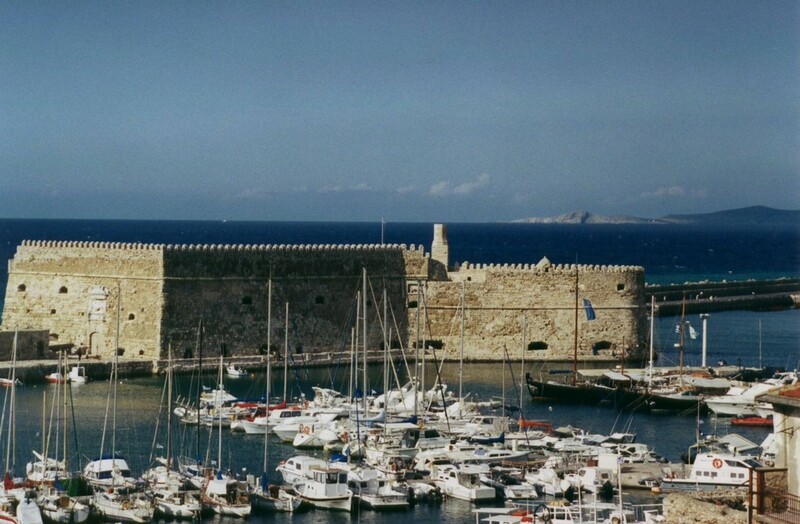 The Venetian fort guarding the old harbour. 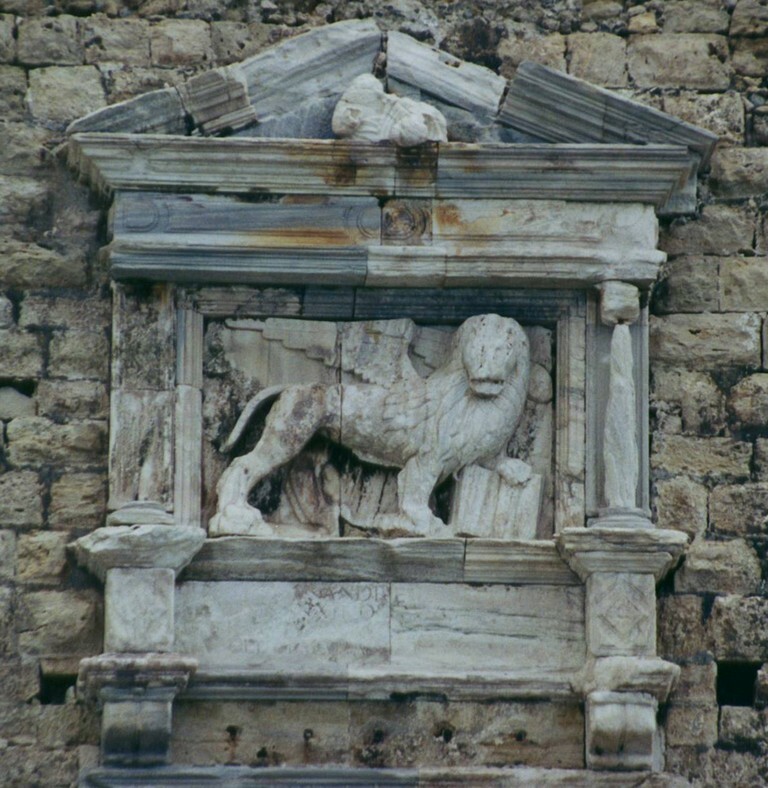 Venetian lion carving on the old fort. 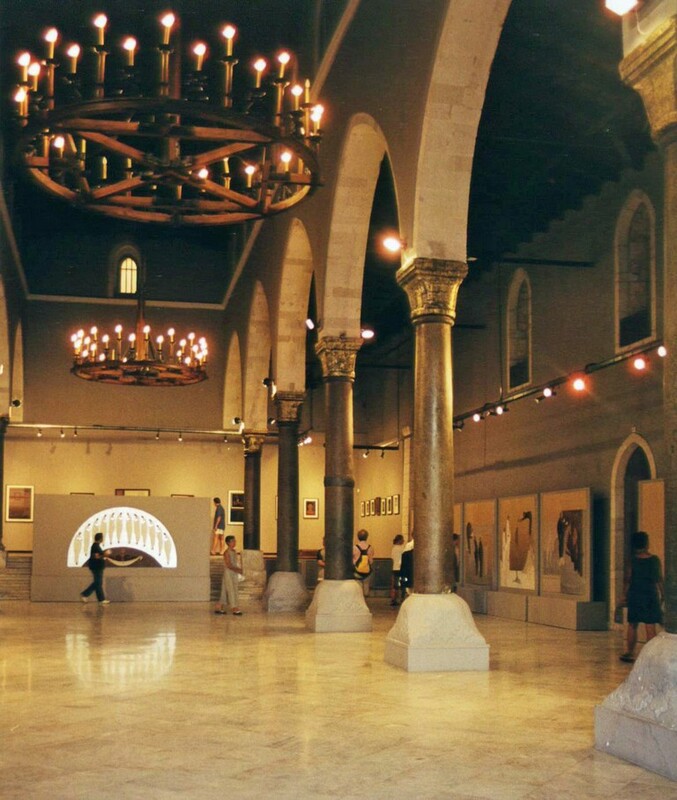 An art gallery in a deconsecrated church. 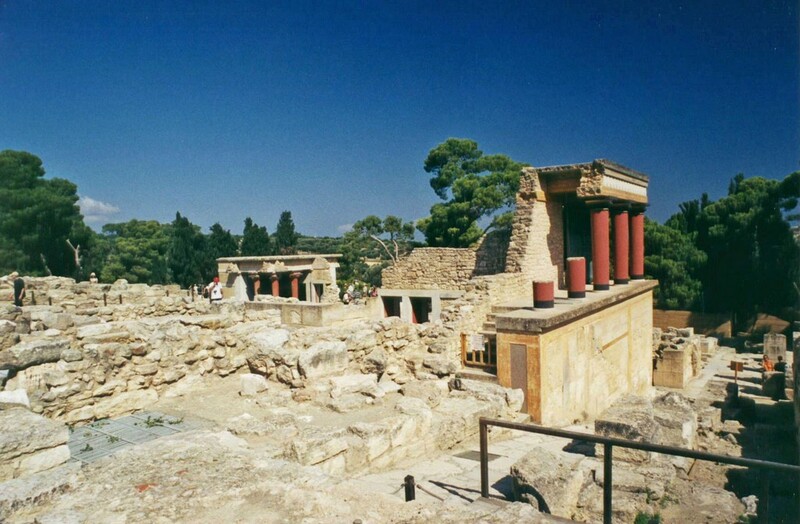 We visited the riuns of Knossos, a Minoan city just outside Heraklion. 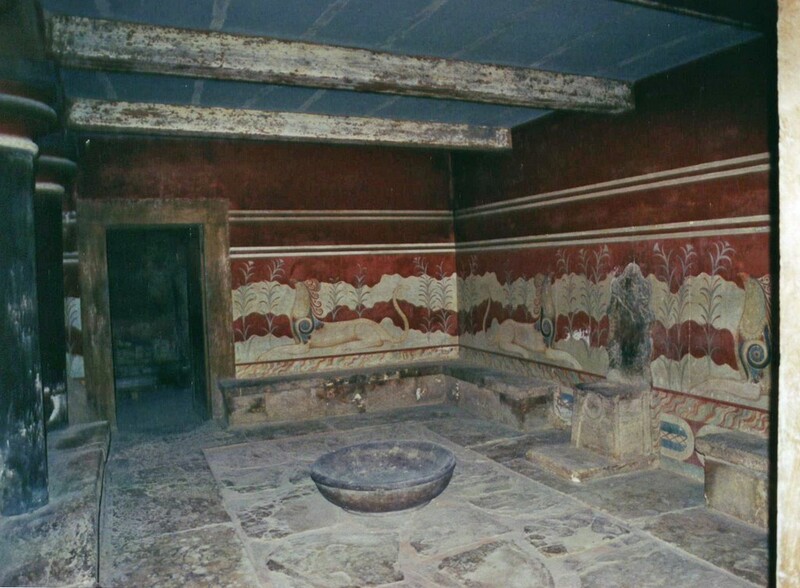 The "throne room" at Knossos. 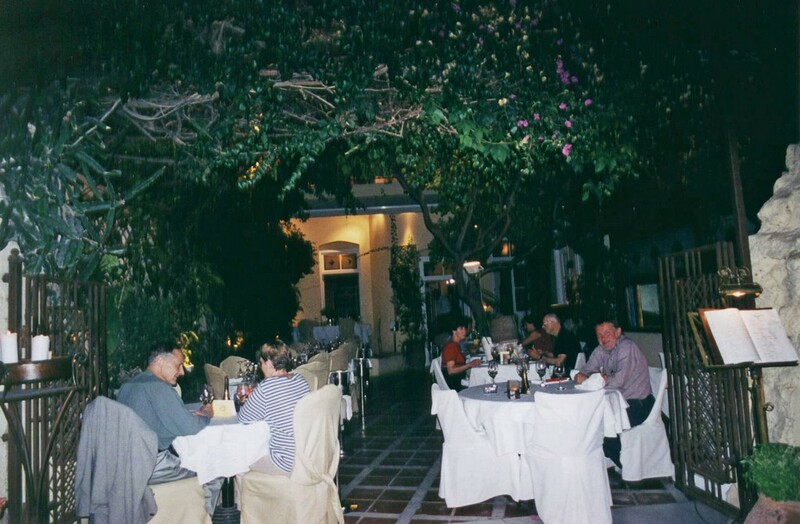 ... but we did have an excellent meal under the vines. Then we got a hire car and went on to Chania.